"We think that the rapid, affordable, and high-throughput cloning of proteins and other genetic elements will greatly accelerate biological research to discover functions of molecules encoded by genomes and match the pace at which new genome sequencing data is coming out," said Biju Parekkadan, an associate professor in the Department of Biomedical Engineering at Rutgers University-New Brunswick. In a study published online today in the journal Nature Biomedical Engineering, the researchers showed that their technology—LASSO (long-adapter single-strand oligonucleotide) probes—can capture and clone thousands of long DNA fragments at once. "We captured about 95 percent of the gene targets we set out to capture, many of which were very large in DNA length, which has been challenging in the past," Parekkadan said. "I think there will certainly be more improvements over time." In conducting their research, they coincidentally solved a longstanding problem in the genome sequencing field. When it comes to genetic sequencing of individual genomes, today's gold standard is to sequence small pieces of DNA one by one and overlay them to map out the full genome code. But short reads can be hard to interpret during the overlaying process and there hasn't been a way to sequence long fragments of DNA in a targeted and more efficient way. 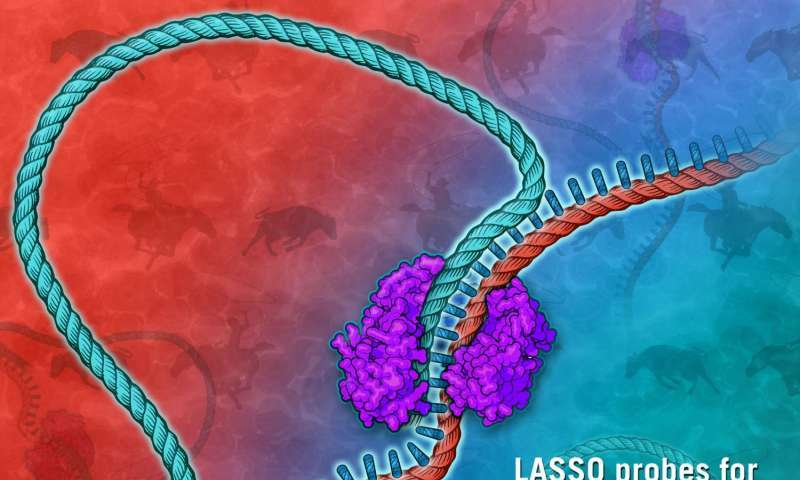 LASSO probes can do just this, capturing DNA targets of more than 1,000 base pairs in length where the current format captures about 100 base pairs. Today, the pharmaceutical industry screens synthetic chemical libraries of thousands of molecules to find one that may have a medicinal effect, said Parekkadan, who joined Rutgers' School of Engineering in January. "Our vision is to apply the same approach but rapidly screen non-synthetic, biological or 'natural' molecules cloned from human or other genomes, including those of plants, animals and microbes," he said. "This could transform pharmaceutical drug discovery into biopharmaceutical drug discovery with much more effort."